Saturday, a very lazy Saturday that we just so lazy to left home and drive to somewhere for lunch. 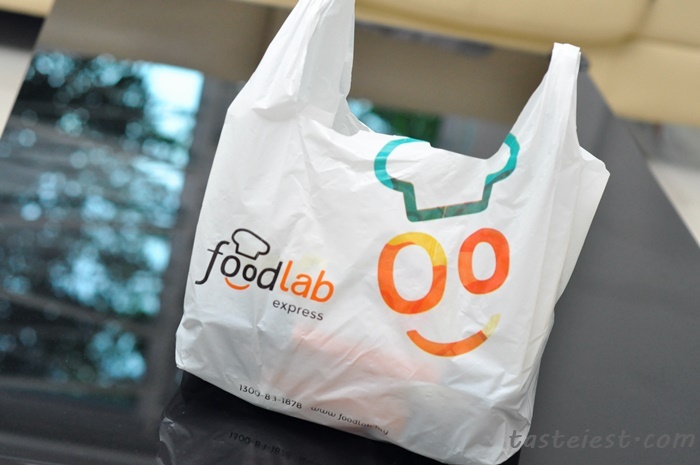 We search around to look for delivery and initially we thought to order KFC or Pizza but that is quite fatty and later we came across FoodLab Delivery which offer healthy local food at affordable price. For just around RM10 we get to order one complete set meal and with wide range of variety it look to be very tempting. 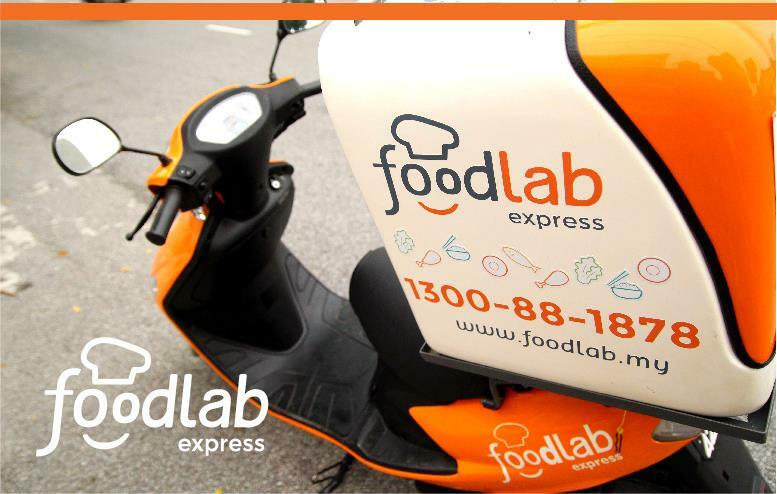 Log into www.foodlab.my and perform below 3 step then wait for your food to deliver. Simple as ABC. 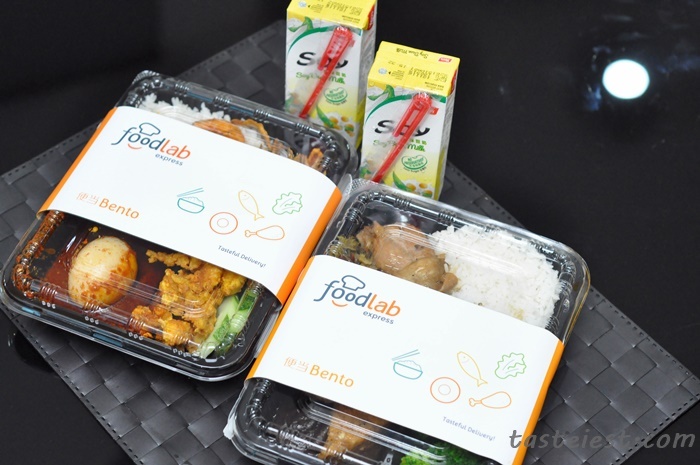 *Good News* For January 2016, FoodLab having an awesome promotion for just RM9 you can get one bento, apply to all bento in their menu. 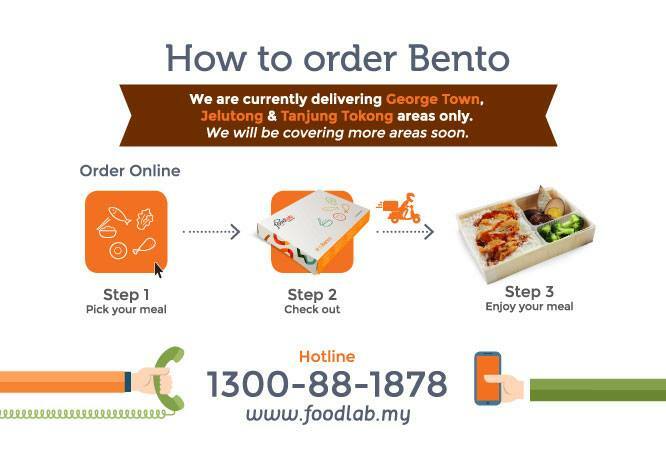 FoodLab offering delivery food with no minimum order, even one order are allow but with additional transportation charge of RM2, free delivery for purchase over 3 set. As of today their coverage include Georgetown, Tanjung Tokong and Jelutong but soon they will expand to more area. By the way, if you happen to be in Toronto, you may check out Toronto healthy food delivery service. 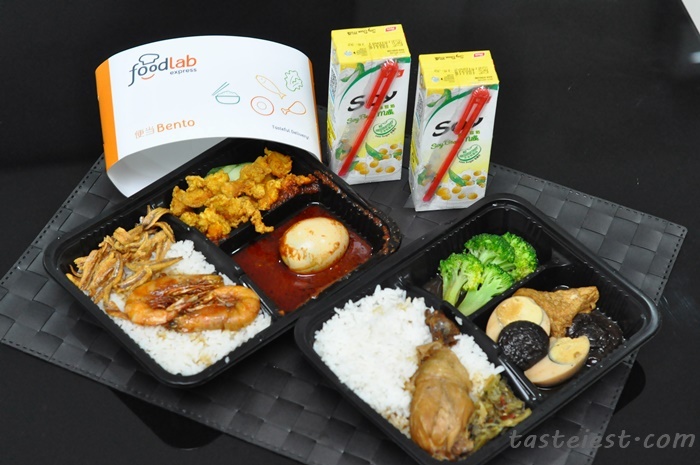 We choose 2 bento which are Braised Chicken Drumstick And Nasi Lemak, they deliver to our door step without even asking us for direction and best of the best is they deliver exactly on what time we selected. 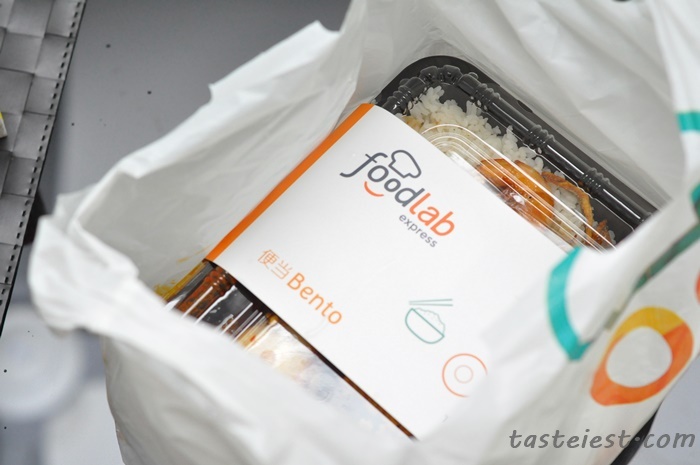 Proper packaging with nice bento box that came with spoon, folk or chopstick. We get surprise with 2 extra soy sauce drink, bingo! 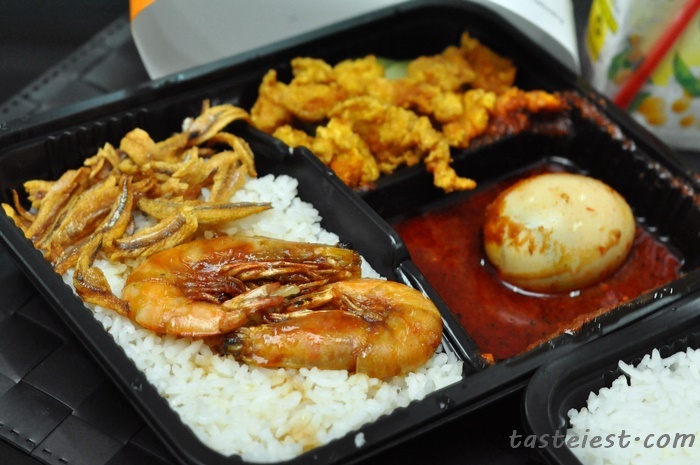 The bento box is nicely decorated to hold the food in good shape, even the nasi lemak sauce did not spill over to other compartment. Atuk Nasi Lemak Ala-Kampung(Asam Prawn) RM10, it came with a big portion of rice with two big prawn, anchovies, deep fried marinated meat, chili sauce with egg. Did I mention they served coconut milk rice instead of normal plain rice? Sambal Chili Paste taste like Malay style which are spicy with a little bit of sweetness. The highlight of this dish is definitely the Asam Prawn which are very fresh and season with sweet and sour taste is just awesome. 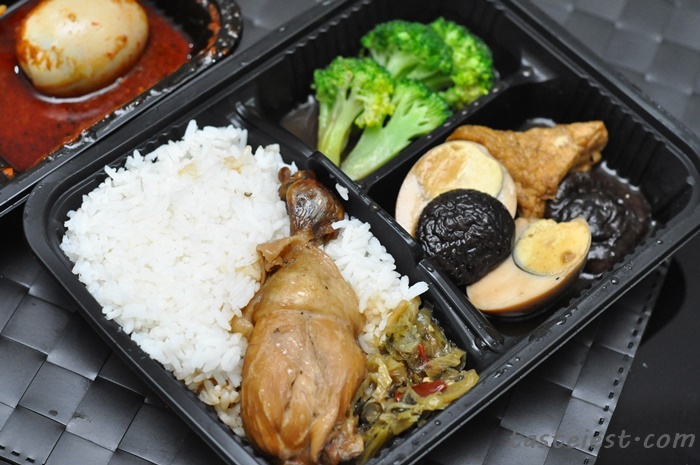 Braised Chicken Rice RM12.90, came with whole drumstick, egg, mushroom, tofu and boiled broccoli. Chicken are nicely marinated to flavor and it has very juicy yet smooth texture, serving with salted vegetable which gave a boost to it flavor. Tofu and Mushroom are nicely braised to flavor as well, egg is my favorite. Broccoli are simple boiled without much flavor but it has no oil and it is healthy.